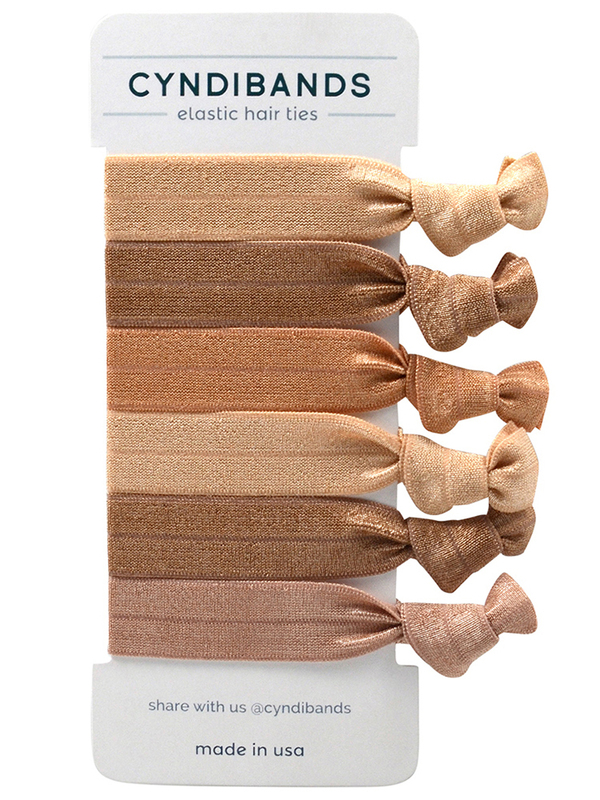 medium and dark blonde color knotted ribbon hair ties. 6 pack includes 2 medium blonde, 2 dark golden blonde, 1 rose gold light brown, and 1 caramel blonde. Soft and gentle on hair . The colors are great because they blend with my hair. These are my absolute favorite hairbands. I love it they look like ribbons wrapped around your hair and these colors absolutely gorgeous. I have auburn brown hair and every single one of these band colors look amazing in my hair. They don’t pull or tug and hold my hair all day long with no pony-tail-head-ache at the end of the day. 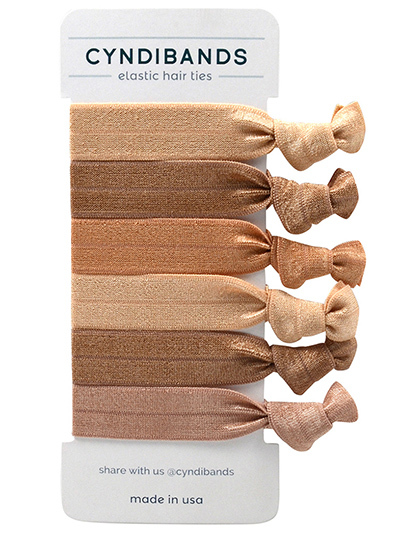 Love these hair bands. My absolute fav!